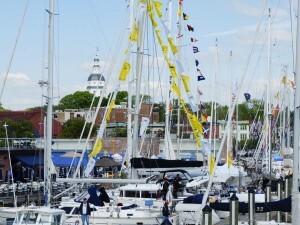 Annapolis Sailboat Show Spring edition, will be held from Friday 26th April through to Sunday 28th April, 2013 and will cover a number of locations including the Annapolis City Dock, Ego Alley and Susan Campbell Park. 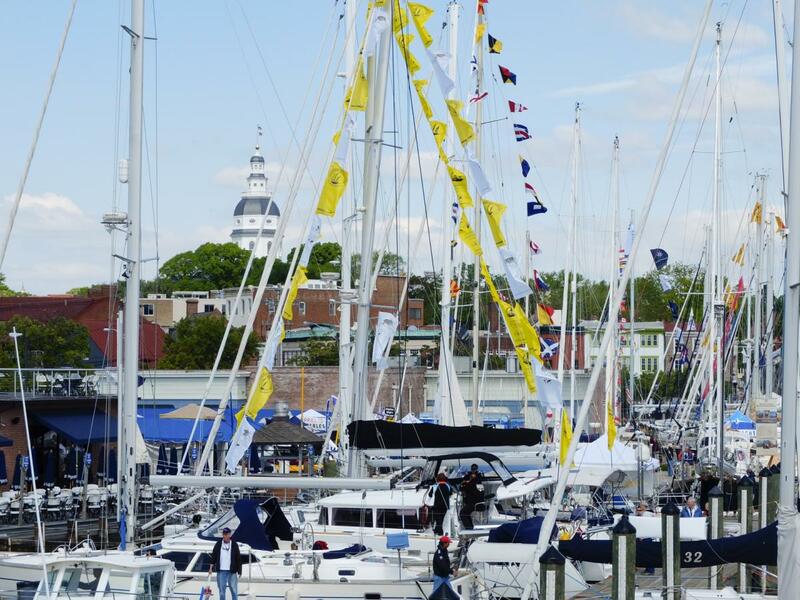 This is the second Spring event for the Annapolis Sailboat Show, and this year it has expanded the footprint in order to accommodate an even more impressive array of exhibitors and products on display. Last year the show welcomed visitors from over 30 US states as well as from all around the globe. This exciting event will cover over 2000’ of floating dock area where over 80 new and brokerage sailboats, both mono and multihull, will be on display. Visitors to the Annapolis Sailboat Show will have the unique opportunity to board and inspect virtually every new model on the market, make side-by-side comparisons, and talk to experienced representatives in the industry about all the aspects of buying and owning a boat. To complement the floating dock area there will be a line-up of over 100 exhibitors at the Annapolis Sailboat Show, covering virtually all aspects of marine services and accessories including boating equipment, electronics, clothing and footwear, finance and insurance and much more. The Annapolis Sailboat Show will also feature the very popular Cruisers University, a four day educational event designed to introduce and train you for life aboard a cruising boat. The event, billed as “The Ultimate Aid to Navigation” will feature renowned cruising experts who will teach attendees over 120 hours of elective classes. Attendees can choose from classes covering one, three or all four days. Topics include: Crossing the Gulf Stream, Hurricane Preparation, Modern Navigation, Blogging and Web Communication On Board, Collision Avoidance and Short Handed Sailing. For anyone sailing, be it near or far, and just needs that extra burst of knowledge then this is the place to be. The classes will be held at the Annapolis Marriott Waterfront Hotel and the Annapolis Recreation Centre and will start on the 25th April. All visitors to the Annapolis Sailboat Show will be able to register to win door prizes donated from various sponsors and exhibitors. Prizes range from sunglasses and boat supplies through to the Grand Prize Draw, where the winner gets a two hour private charter for 48 people aboard the Annapolis Schooner Woodwind, courtesy of WRNR Radio. Anyone with an interest in boating and yachting will enjoy a day out at the Annapolis Sailboat Show, and with entrance fees of $12 for an adult, $4 for children 7-12 years and free entry for children under 6, it’s a great day out for all the family.